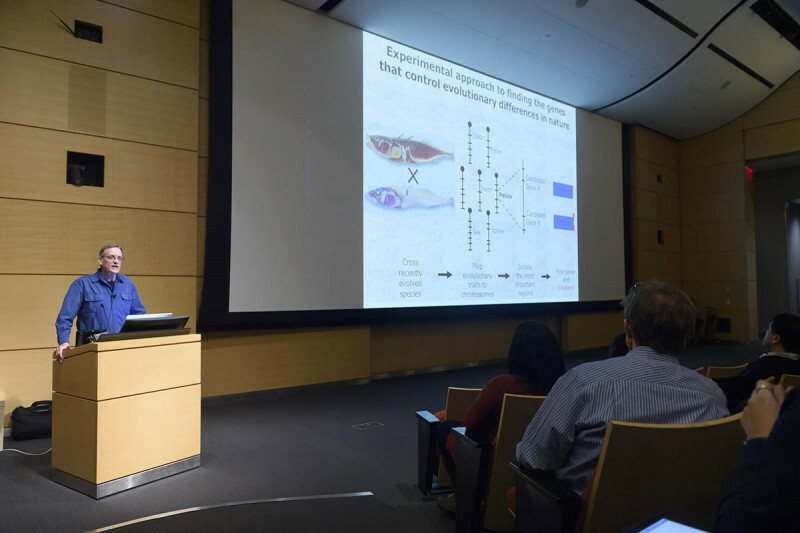 An event held on November 15 at Memorial Sloan Kettering celebrated the 15-year history of the Developmental Biology Program in the Sloan Kettering Institute. In the 1990s, the Sloan Kettering Institute was home to several scientists studying development, but there was no separate developmental biology program. Back then, they were members of the Molecular Biology Program. That changed in 2002. Tom Kelly, who was SKI’s director at the time, and then-MSK president Harold Varmus decided that a distinct developmental biology program would be an asset to the cancer center, given the large overlap between the genes involved in normal development and those involved in cancer. They picked Kathryn Anderson to lead the new program. Dr. Anderson went on to cultivate it into one of the strongest developmental biology programs in the country. 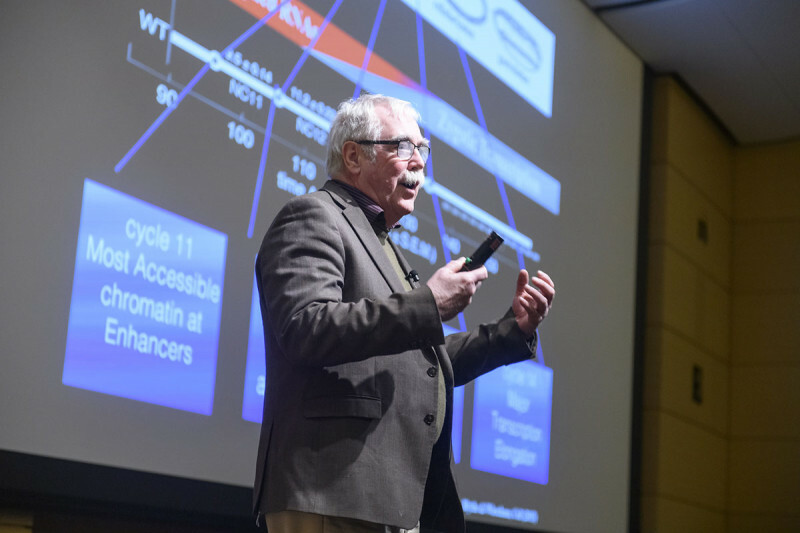 On November 15, 2018, scientists from around the world came to MSK to celebrate the achievements that SKI’s Developmental Biology Program has made under Dr. Anderson’s leadership. 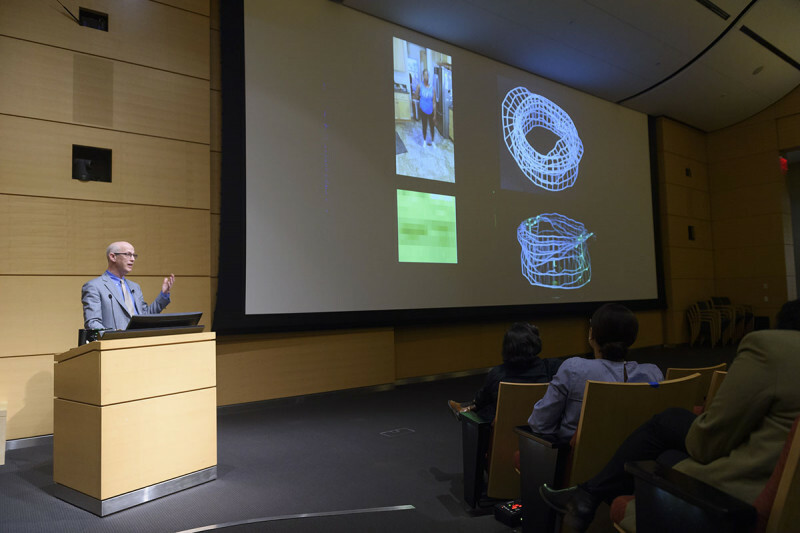 Eight former colleagues and students gave talks on their current work. 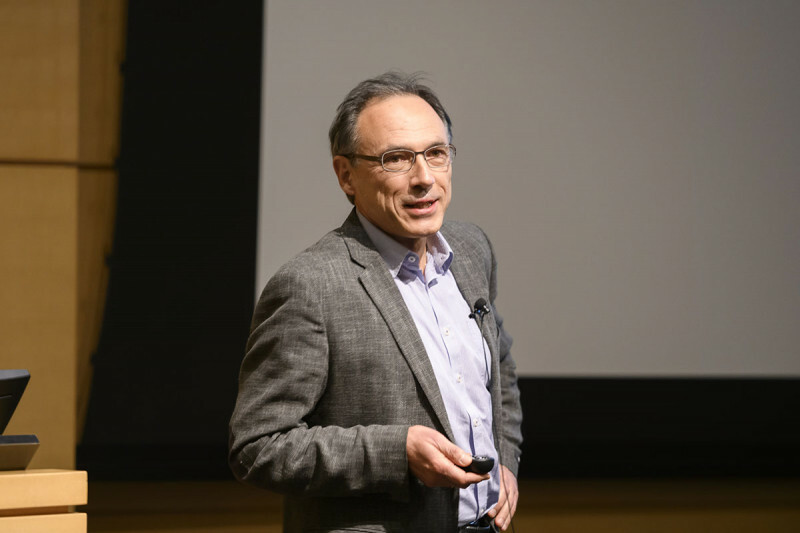 Their topics spanned several areas of biology and medicine, including mitochondrial germline inheritance, modeling disease, and the role of body-plan genes in the evolution of new species. 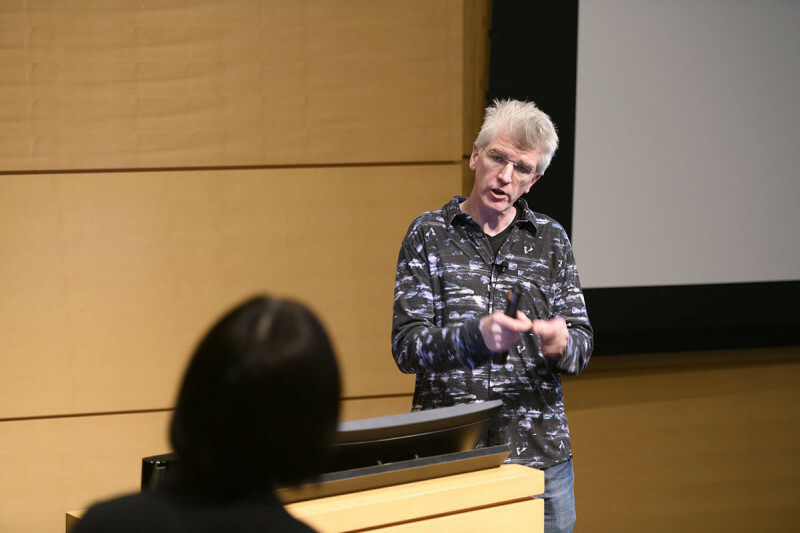 A specialist in early mammalian (mouse) development, Dr. Anderson has made fundamental discoveries about the signals that control cell fate decisions in developing embryos. She is known for bringing tools called forward genetics to the study of mouse development. In reverse genetics, the more common approach, scientists mutate a gene of interest to ask what it does. In forward genetics, scientists randomly mutate many genes to identify those with interesting roles. In 2007, using the forward genetics approach, Dr. Anderson’s lab discovered a previously unknown role for slender cellular appendages called cilia in receiving signals from a protein called Hedgehog. Dr. Anderson came to mammalian development later in her career. Prior to that, she focused on Drosophila (fly) development. 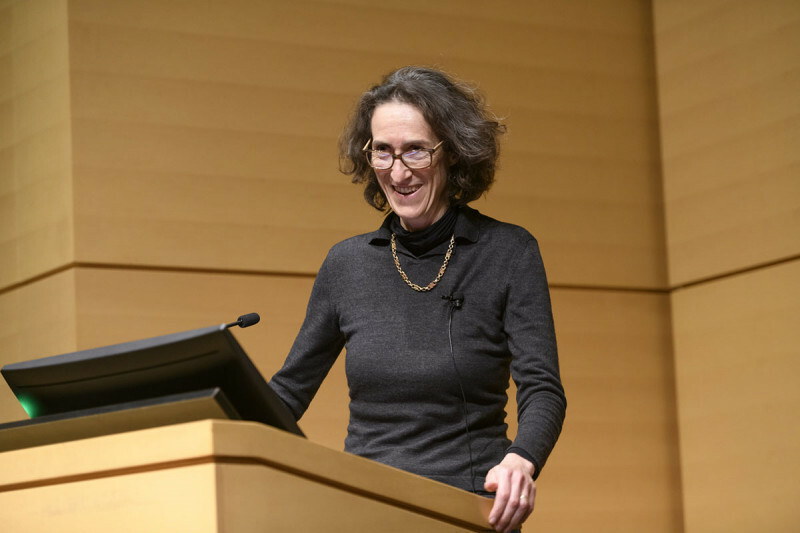 While a professor at the University of California, Berkeley, she dissected the function of a gene called Toll, finding that it plays a role in both early development and the action of the innate immune system. Several scientists who presented at the symposium, reflecting on the importance of this work, said that it was Nobel Prize worthy. The greatest overarching and defining feature of our program was, and still is, Kathryn's leadership. Dr. Anderson first became interested in Toll while working in the lab of Christiane Nüsslein-Volhard in Tübingen, Germany, where she did a postdoctoral fellowship. At that time, Dr. Nüsslein-Volhard was the only scientist probing fly development with the tools of modern genetics. With Eric Wieschaus, another colleague in attendance at the symposium, and Edward Lewis, Dr. Nüsslein-Volhard shared the 1995 Nobel Prize in Physiology or Medicine for work identifying genes involved in early fly development. In 1993, Dr. Anderson decided to make the switch from flies to mice and headed to England to train with Rosa Beddington, a leading mouse embryologist at the National Institute for Medical Research at Mill Hill. 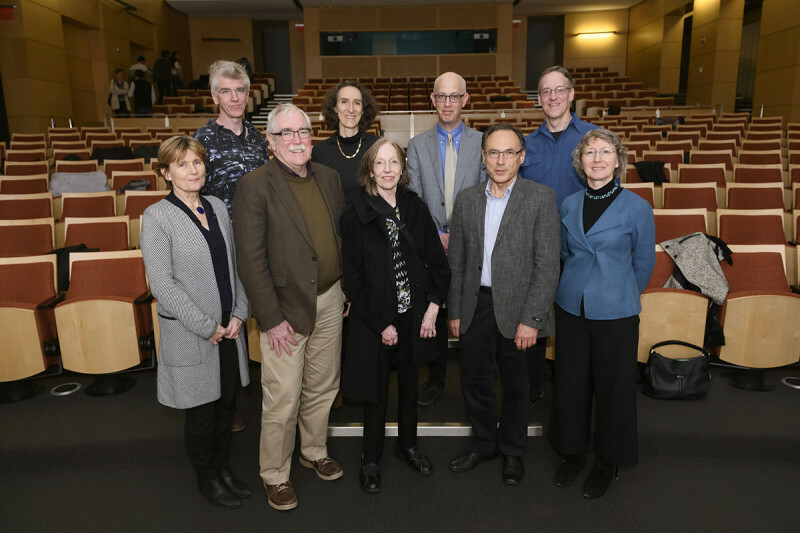 Several of the speakers at the MSK event were former colleagues from these early days, including Sally Dunwoodie and Ruth Lehmann, who was a graduate student in the Nüsslein-Volhard lab while Dr. Anderson was a postdoc. “She was like a big sister to me,” Dr. Lehmann said. “She provided gentle but firm mentorship.” Dr. Lehmann now directs the Skirball Institute of Biomolecular Medicine at New York University Langone Health. Our investigators study the mechanisms that control cell proliferation, cell differentiation, tissue patterning, and tissue morphogenesis. 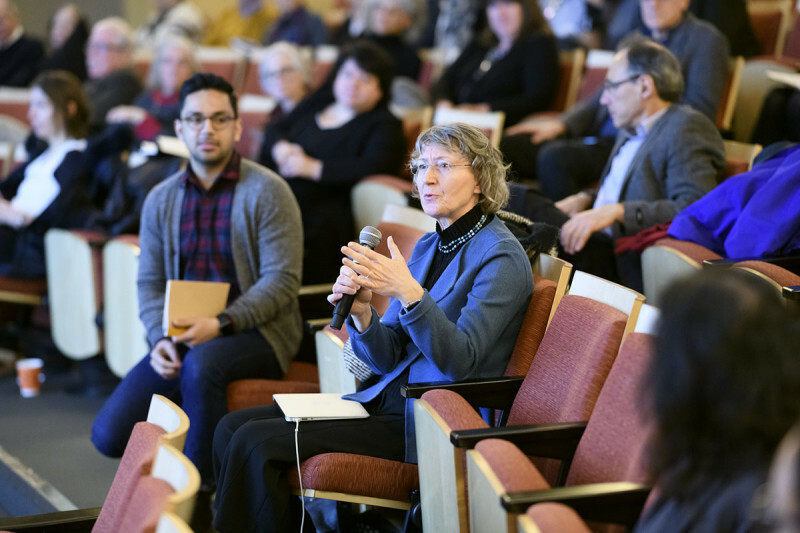 Dr. Anderson’s current colleagues in the Developmental Biology Program also gave their own perspectives on her role as a colleague and mentor. 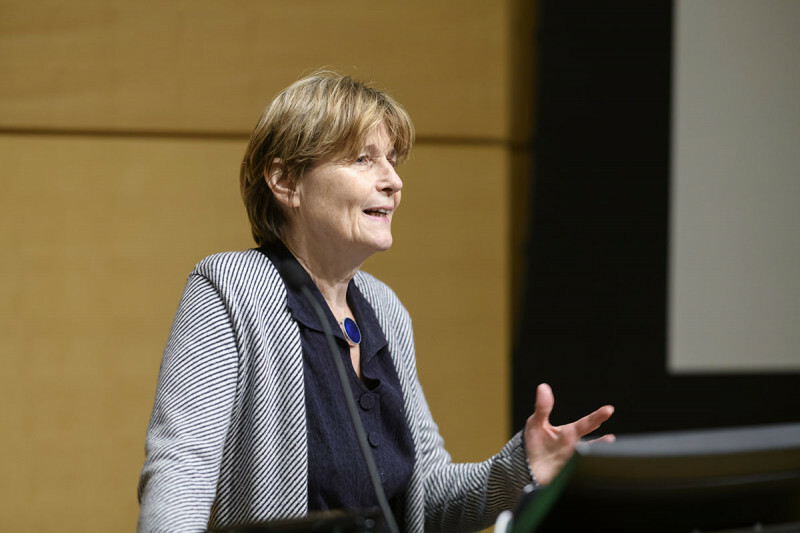 Dr. Lehmann, who offered the event’s concluding remarks, pointed to the high quotient of female scientists in the program as a testament to Dr. Anderson’s support for building gender diversity in science. “It cannot be said enough what Kathryn has done for developmental biology,” Dr. Lehmann said. View all of the event’s speakers.